When people think of replacing or repairing their windscreen, they probably assume that all the costs have to come out-of-pocket. However, did you know that your insurance may cover the servicing to your windscreen? That’s right; your comprehensive insurance plan may cover not only collision costs but windscreens as well. It’s important to know your insurance plan inside and out in order to get the most out of it. Before going on, we should note that this all applies to a comprehensive coverage plan; collision insurance, as the name suggests, only covers damage from accidents. However, the two plans work the same when it comes to payments: if you have a £60 deductible and it costs £200 to replace a windscreen, you’ll be responsible for paying £60 to the car glass professional and insurance will cover the remaining £140 (assuming your plan covers windscreens). This deductible differs from your premium, which is the amount you pay every month to stay insured. If you’re unsure as to your level of coverage or what kind of plan you have, speak with an agent from your insurance provider. You shouldn’t walk in to get your vehicle serviced without understanding what it’s going to cost you and what insurance can handle. Some insurance companies may even waive your deductible for windscreen replacements, so it never hurts to ask your agent. Note that your provider may not cover windscreen replacements and windscreen repairs, so don’t assume that your provider will cover both because it covers one. Also, don’t be afraid to talk to someone from the car glass agency, as they will gladly help you determine where insurance applies and what your out-of-pocket cost would be for a windscreen service. Your car glass agency may also have different options and windscreen improvements that could better protect your windscreen from future damage, saving your time and money in the long run. As mentioned above, your insurance may cover windscreen repairs in addition to replacement. If you want to save yourself time and money, it’s usually better to fix those little cracks and chips before they worsen. 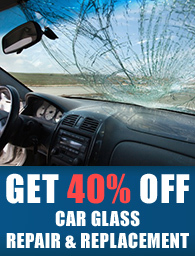 If your insurance covers minor windscreen repairs, take advantage! Even if insurance covers windscreen replacement, it will still cost you more in deductibles to replace the windscreen than it will to get a crack or a chip fixed. Additionally, some insurance providers may cover other preventative services like hydrophobic windscreen. Certain safety additions to your vehicle may lower your monthly premium, so speak with an insurance agent to see what your provider can do for you in that regard. Remember, you ultimately have insurance to save you money, so get to know it inside and out to maximize your savings!